This week marks the third annual Transit Week in San Francisco where riders celebrate all things public transit, including Muni and BART. The event did not kick off so smoothly, as some city supervisors had problems with Muni on Monday morning while trying to meetup with members of the San Francisco Transit Riders, a nonprofit public transit advocacy organization, at City Hall. Supervisors met up with constituents at bus stops and ride Muni to City Hall early Monday morning. 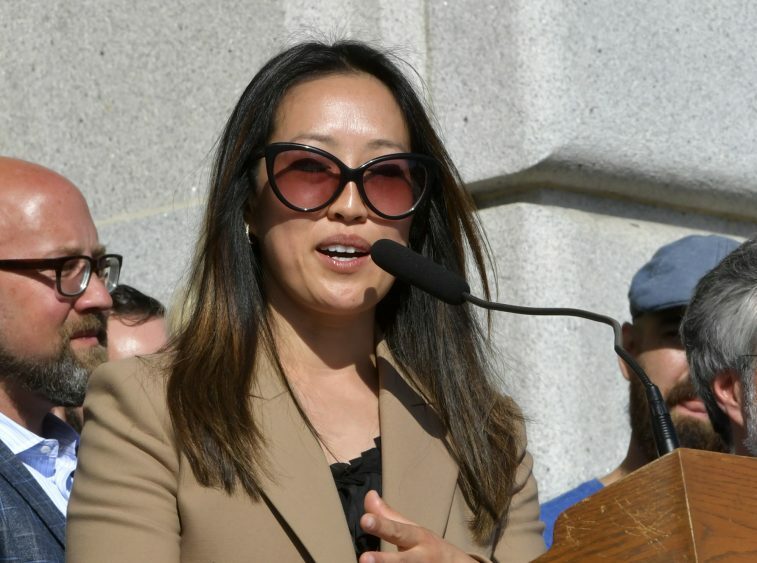 Supervisor Katy Tang speaks during the kick off of Transit Week at City Hall in San Francisco, Calif., on Monday, September 24, 2018. Supervisor Katy Tang, who attempted to hop on the L-Taraval at Taraval Street and 22nd Avenue around 8:30 a.m. Instead, she ended up taking the K-Ingleside. The SFMTA reported a propulsion issue with one of its older trains at Taraval Street and 30th Avenue at 8:17 a.m. The J-Church was also experiencing delays this morning as state Sen. Scott Wiener ended up taking BART. 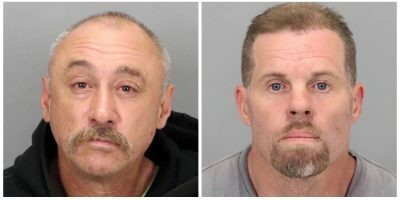 The SFMTA reported there were two opened runs on the J-Church and a door issue at Church and Market streets. 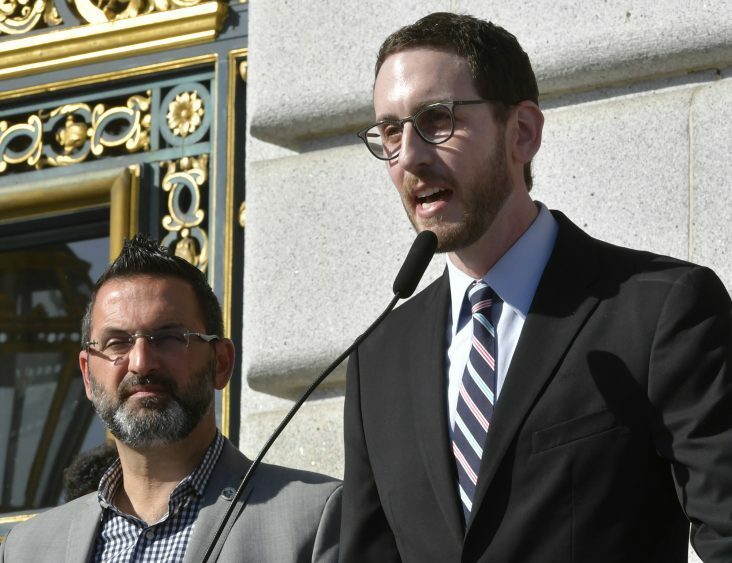 State Sen. Scott Wiener, right, speaks during the kick off of Transit Week at City Hall in San Francisco, Calif., on Monday, September 24, 2018. Other supervisors like Sandra Lee Fewer, Aaron Peskin, Vallie Brown, Hillary Ronen and Ahsha Safai reported no problems with Muni and some even arrived earlier than expected. 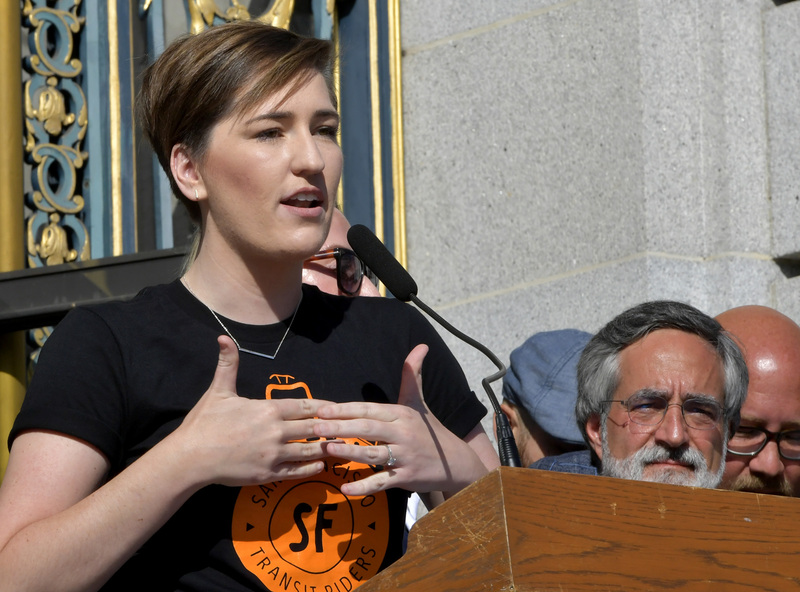 Rachel Hyden, executive director of SF Transit Riders, speaks during the kick off of Transit Week at City Hall in San Francisco, Calif., on Monday, September 24, 2018. The organization has planned a number of events throughout the week and the public can find more information about Transit Week at www.sftransitriders.org/transitweek. Public transit riders and city officials are encouraged to use the hashtag #WeRideSF each time they ride public transit this week.